Australian director Kurzel, here making his second feature film, has a background as a theatre designer and he has certainly brought a very clear and dramatic visual signature to this adaptation of Shakespeare’s story of the ruthless warrior of the title, who, egged on by his wife, ruthlessly murders his way to the Scottish crown. Adam Arkapaw’s cinematography is terrific giving the piece a really effective, threatening atmosphere throughout. The Scottish landscape is hostile, cold and rainswept. Kurzel has also gathered a great cast and made them look as though they genuinely belong to a primitive warlike society, which is comparable to the image we have of the Vikings. They all to a man have battle scars and war paint and the battle scenes are brutal and blood soaked. Previous directors have seized on the reference in Shakespeare’s text to the fact that Lady Macbeth has at some point given birth, although the couple appear to be childless. This film makes that reference the primary force for Cotillard’s character and to some extent Macbeth’s too, opening the film with a touching scene of the burial of their dead baby on the heath. Macbeth may become king but according to the prophecy, which sets him on his bloody road, it is Banquo’s line who will inherit the crown. 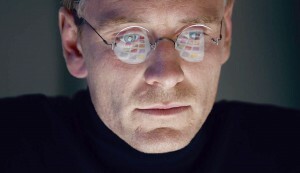 In order to film Shakespeare, you have to do a lot of editing and cutting to make the piece cinematic. What the director and his screenwriters have lost in their editing of the text however is the clear thrust of the narrative. For example a newcomer to the story might be hard pressed to sort who is who and what the blood soaked battle which kicks the story off is all about. The treatment of the witches and their prophecy of Macbeth and Banquo’s future is interesting but disappointingly prosaic. Rather than supernatural beings, they are played as four generations of women, including a child, who appear to be displaced victims of the war. One wonders why Macbeth believes them. Macbeth’s murder of King Duncan (David Thewliss) and the framing of the servants is clumsy and muddled albeit enthusiastically blood soaked. And by relocating this whole early part of the story from the Macbeths’ castle to the army camp (what on earth is Lady Macbeth doing there?) it removes the shocking aspect of the fact that the Macbeths are murdering not only their king but a guest in their own home. Much of Fassbender’s performance as Macbeth is internalized with lavish but perfectly valid use of voice over, enabling us to explore his ambition and guilt inside his mind. 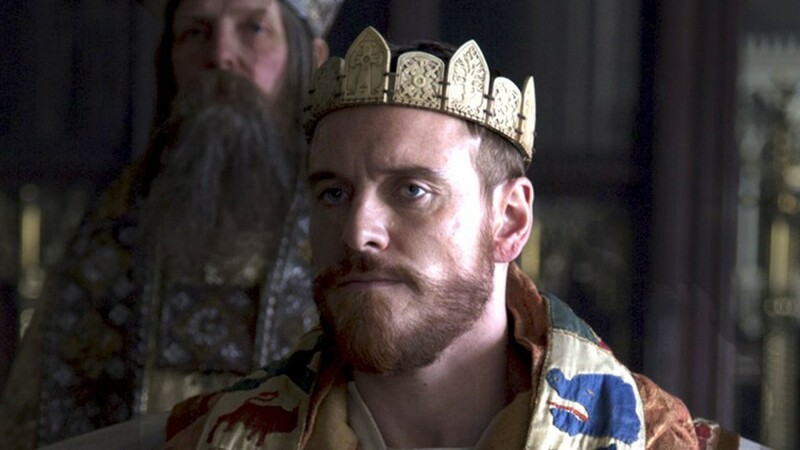 Fassbender is very powerful in playing this internal conflict – it has been suggested that this Macbeth is suffering from post traumatic stress disorder. But as he is also a brute among brutes in a brutish society from the beginning, his fall is less dramatic. His delusional “Is there a dagger” speech becomes almost mundane, although in his acceptance of the inevitability of death in the “tomorrow and tomorrow and tomorrow” speech after the death of Lady Macbeth, the actor has an opportunity to get to grips with the emotional core of the character. As his wife Cotillard is both cruelly exotic and conversely moving, though in the director’s determination to make her character primarily about the loss of her baby, he has destroyed much of what makes her madness in the hand washing scene so dramatic. By effectively ditching the supernatural element of the story, the film loses a lot of the drama. The appearance of the ghost of Banquo (Paddy Considine) at the feast for example is a bit of a damp squib. The treatment of the murder of Lady MacDuff (Elizabeth Debicki) and her children, though appropriately brutal, somehow lacks the emotional impact of the traditional throat slitting, although Sean Harris’s reaction as Macduff is one of the more moving elements in the film. Much of the time Kurzel’s concept gets between us and what are some potentially very good performances struggling to get out and there’s very little light and shade in the storytelling. He appears to be so determined to impose his view of the story onto Shakespeare’s text and make the film relentlessly visual and cinematic rather than too literary, that he has thrown the baby out with the bath water. The result is a very interesting film, visually powerful with some refreshingly innovative ideas but one which often obscures as opposed to illuminating Shakespeare’s text.